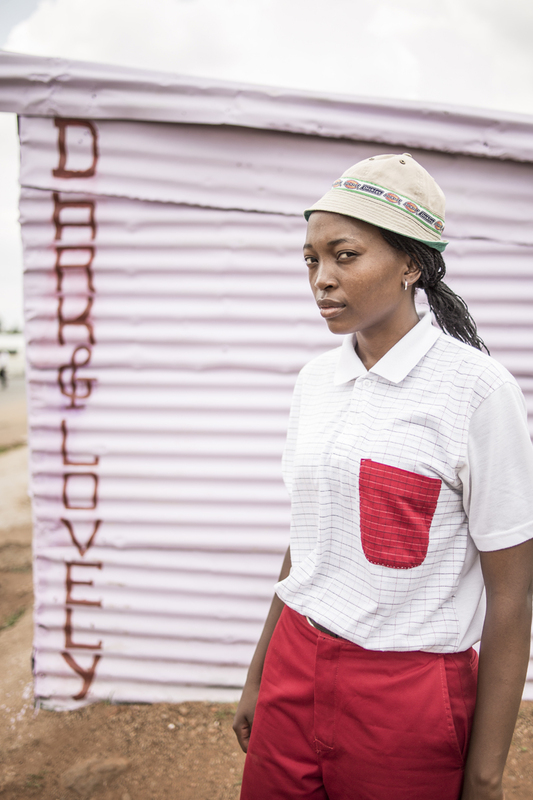 Pantsula is South Africa’s predominant township subculture. 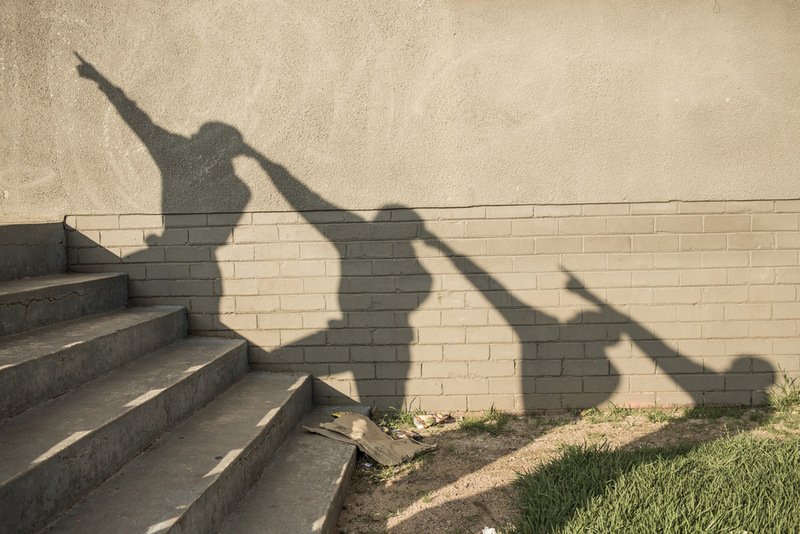 From its roots in the Sophiatown jazz culture of the 1950s, it developed in the 1970s to become the main expression of youth culture in the townships. It is both a mindset and lifestyle, expressed through language, music, dress code, and a narrative dance form: Pantsula. 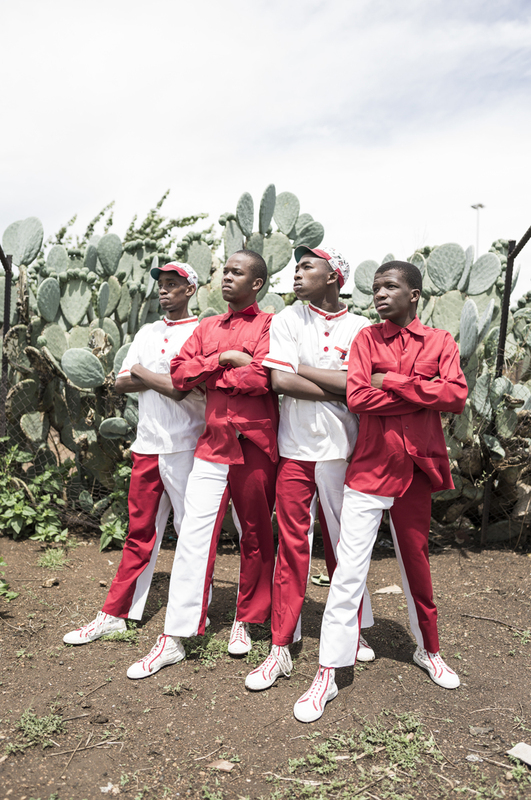 The pictures document the movements, both literal and figurative, of the different pantsula dance groups and dancers in their environments. 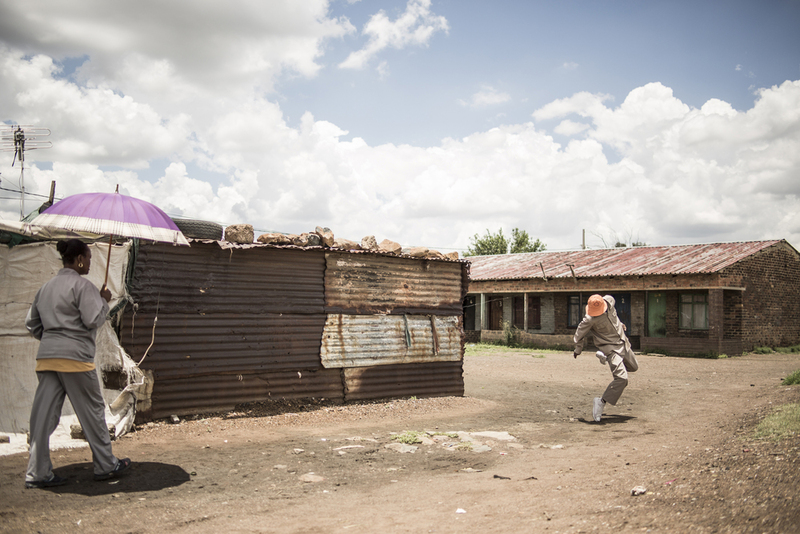 Historically, traditional South African cultures have told stories through song and dance — stories of the land and the ancestors, or, in the case of pantsula, stories of the living conditions in the cities. The dance form itself is a storytelling platform that relates to and reflects historical and present-day situations. I started documenting isipantsula in 2010, since 2012I startedcollaborating with Dr Daniela Goeller, who is conducting research on isipantsula culture at the University of Johannesburg. As far as we can ascertain, isipantsula has not been historically analysed as a culture, and there is very little substantive or critically informed information and documentation to be found. 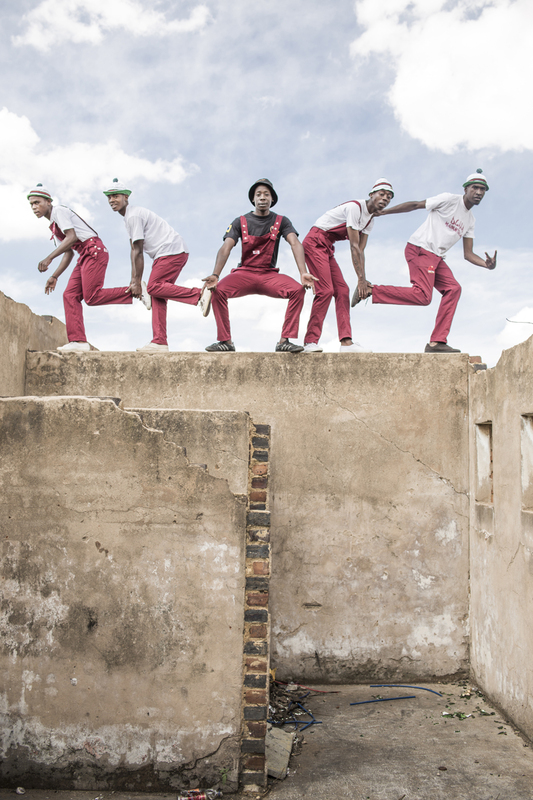 Going back to my previous experiences in documenting dance and performance art, I decided to capture the basic and most significant steps of pantsula dance as a reference. Because of the sheer pace of the dance I recorded these complex movements on video, and later in post production changed the format by breaking the video into individual frames, ultimately compiling a large-format digital contact sheet and flip book series. I also created a portrait series. The portraits and group shots are posed re-enactments of elements in the dance form. These poses and gestures are individual expressions and create strong visual signs of identity and belonging to the subculture. By combining these two mediums, I am able to ‘tell’ the dance, and show both the intricacies of the movements and how the dance form is embedded in a culture, fashion and the township environment. The project was selected as part of the 2015 lagos photo festival and featured in Jan 2016 in The New York Times magazine Lens Blog as well as on the cover of the Culture Section of the paper.